Recently, I was invited to attend IWC Influencer Lunch and I felt so lucky to sit next by the CEO of IWC, Mr. Georges Kern. As a big fan of the brand, I was so excited to have conversation with one of the greatest leaders in the industry. Mr. Kern was very friendly and very keen on sharing the stories behind the brand as IWC treasures the story behind every product rather than the value solely. The watch that I was wearing that day – Big Pilot’s Watch Edition “Le Petit Prince” is one of the masterpieces of IWC’s and represents a great story. Mr. Kern also explained the mechanism and technical achievements of Annual Calendar in front of us which instantly impressed each of us. Most importantly, he also further explained one of the most complex watch IWC has ever produced – Portugieser Sidérale Scafusia, a watch that offers an impressive array of functionality in the form of astronomical complications. It truly shows the perfection of craftsmanship and technical achievements of IWC. After enjoying a great meal at Mott 32, we were invited to attend another luxury watch preview at Mandarin Oriental. 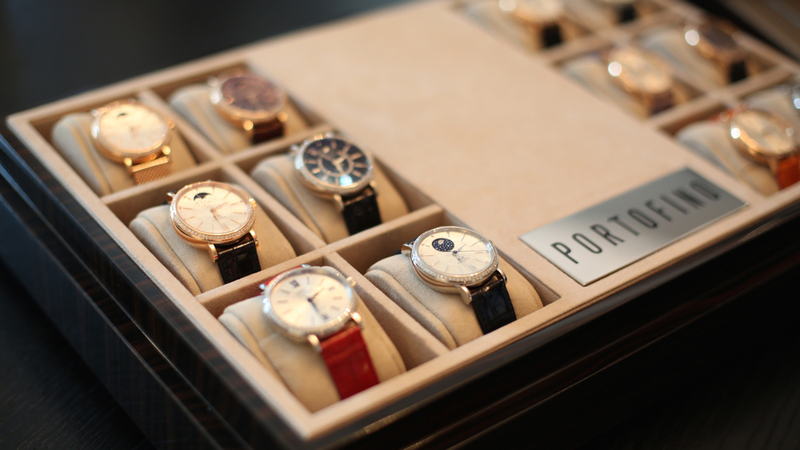 Among the highlight pieces, Portofino Hand­Wound Monopusher is my favorite one. 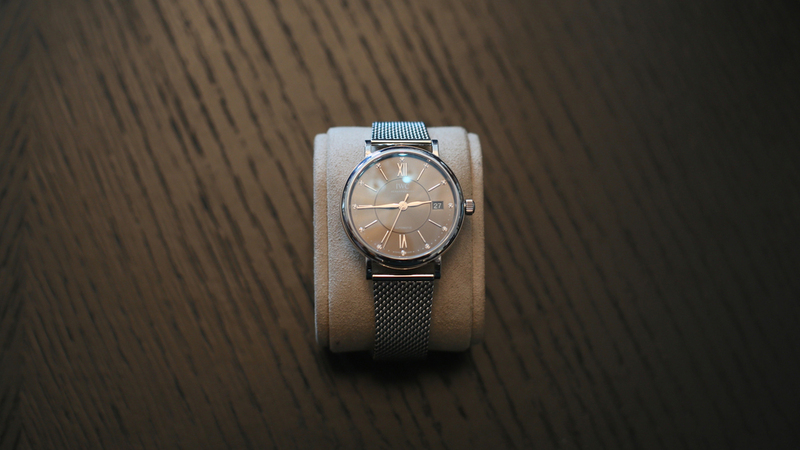 It comes with a leather grey face that matches the grey leather strap perfectly. 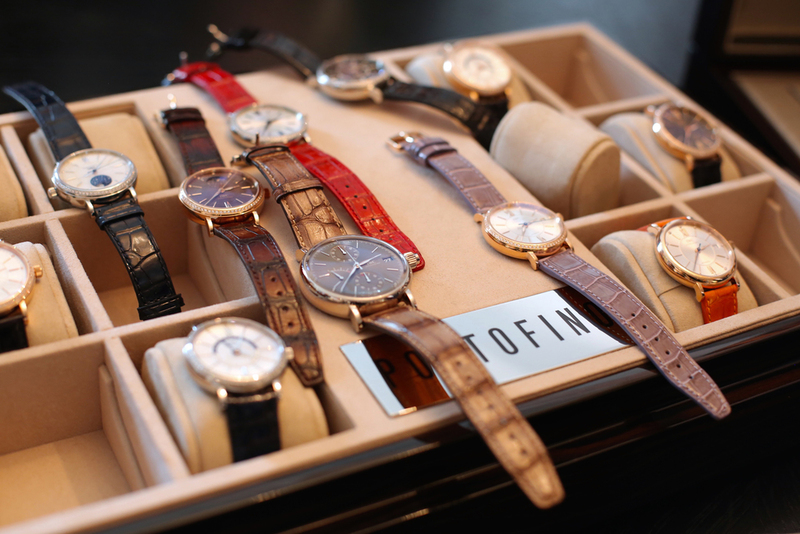 Other stunning watches were also showcased such as classic silhouette that designed with diamond and clean faces. Every guest was highly impressed and cannot wait to have a first try on their wrist. I would like to thank IWC for the invitation and the great sharing from Mr. Kern. Mr. Kern also mentioned that IWC is starting to expand their promotion area from traditional media platforms to digital channels, and will keep interacting with social media platforms. Let’s have more interaction with classic brands and social media blogger!